If you have been diagnosed with an abnormal rapid heart rhythm (such as atrial fibrillation or flutter), known as an arrhythmia, one goal is to restore a normal heart rhythm. One way to do this is through electrical cardioversion, an electrical shock that is delivered through your skin to convert your heart rhythm back to a normal rhythm. It is a safe treatment for restoring normal rhythm. Even though the electrical shock may be successful in restoring normal heart rhythm, some individuals may experience a return to an abnormal rhythm quite quickly. If this occurs, the electrical shock may be repeated as necessary or other treatment options, such as a new antiarrhythmic medication or catheter ablation, may be required. You and your physician should discuss a long-term plan to prevent future recurrences of the abnormal heart rhythm. Why choose Ohio State for electrical cardioversion treatment? 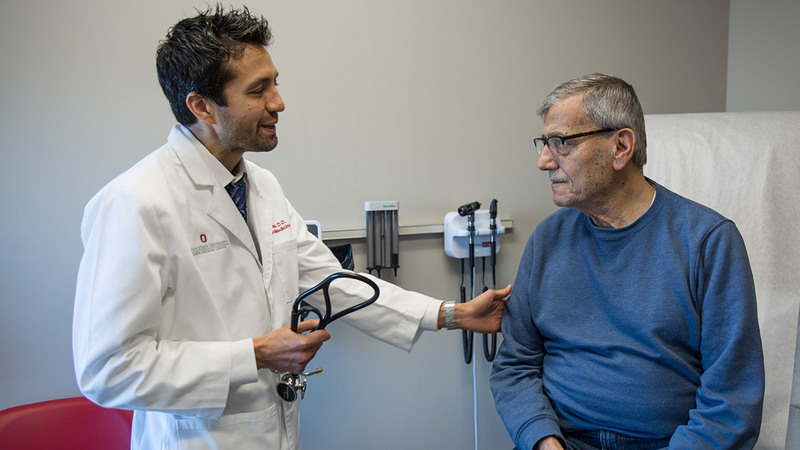 Ohio State’s Ross Heart Hospital has a specialized team of heart rhythm specialists, called electrophysiologists, and more than 100 nursing personnel who specialize in caring for patients with heart rhythm problems. Our electrophysiology program is the largest program in Ohio, and one of the top three in the nation, with extensive experience in managing a wide spectrum of heart rhythm problems. One risk of the electrical shock is that it may loosen a blood clot within the heart. If this occurs, the blood clot may travel to the brain and cause a stroke. To minimize this risk, you may be required to take an anticoagulation medication, such as warfarin (Coumadin), for 3-6 weeks before your procedure. During this time, you will need to have blood work completed to monitor your warfarin dosing reflected by the INR (International Normalized Ratio) level. The goal is an INR measurement between 2.0 – 3.0 for several consecutive weeks. For some patients, a transesophageal echocardiogram (TEE) is required. This is another method to manage the risk of blood clots around the time of electrical cardioversion. A TEE is a specialized type of ultrasound test that passes a small transducer down the esophagus to provide a clearer image of your heart. 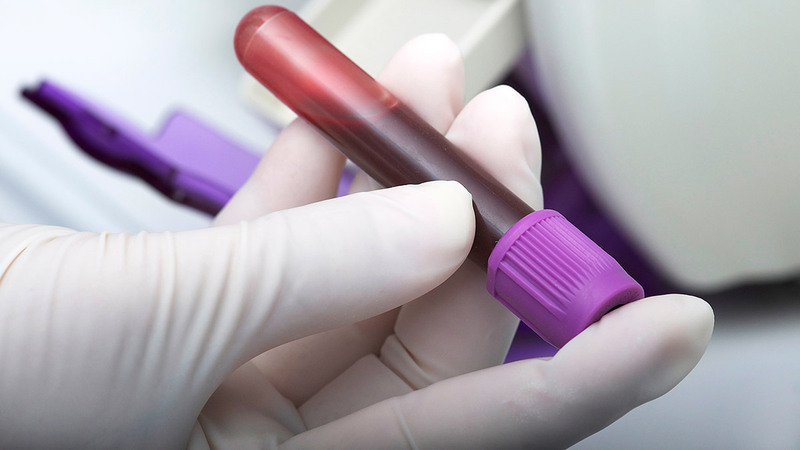 This test allows your physician to see if you have a clot inside the heart. If there is no clot, you can then proceed with electrical cardioversion. Even though your transesophageal echocardiogram may show there is no blood clot and your electrical cardioversion is successful in restoring your heart to normal rhythm, you may still be required to remain on anticoagulation medication for several weeks after your procedure. Your risk of stroke from your arrhythmia does not immediately go away even if your heart rhythm is back to normal. You will be asked to not eat or drink anything after midnight the evening before your procedure. Your physician will give you specific instructions on which medicines, if any, you should stop taking before the test. If you are not given specific instructions, please take your medicines as you normally would with a small amount of water. Please tell your doctor if you are a diabetic and on medication. Do not smoke or use tobacco products for 24 hours before your procedure. Electrical cardioversion is performed either in your hospital room or in a procedure room. You lie down and are attached to a heart monitor, blood pressure monitor, oxygen monitor and IV. You are given medication to make you sleep during the procedure. Gel pads are placed on your chest, and the electricity passes through them via a cardioversion machine (defibrillator). Generally, electrical cardioversion takes only a few minutes and is not associated with discomfort. In the recovery area after the procedure, your vital signs are monitored for an hour until you are fully awake. 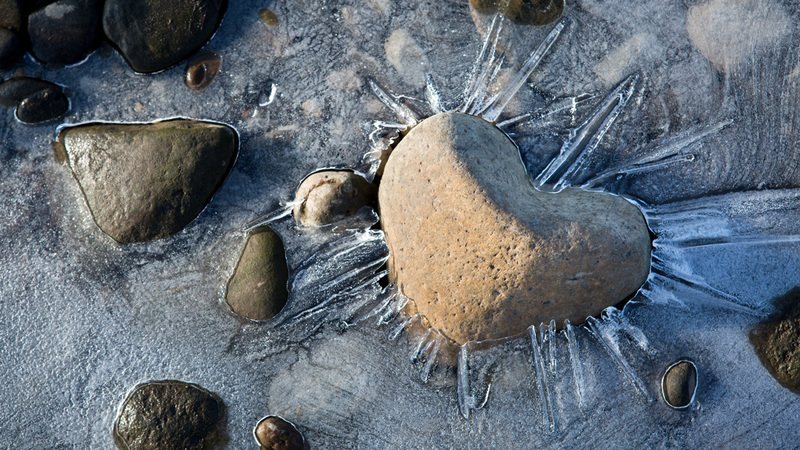 Once you awaken, you can have water and ice chips. Your healthcare team will help you get up and walking. You will not be able to drive after your procedure so have an adult with you to get you home from the hospital. Some patients may be required to stay overnight in the hospital.